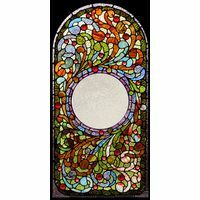 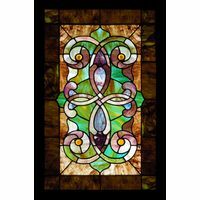 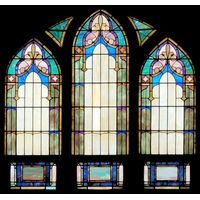 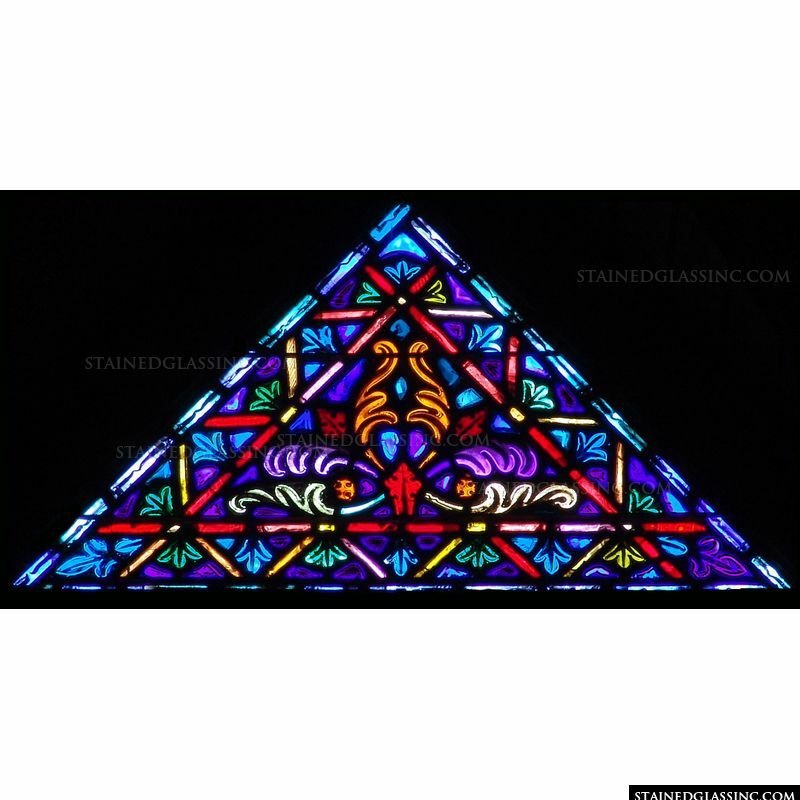 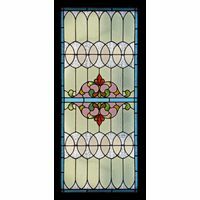 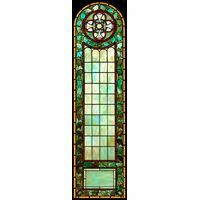 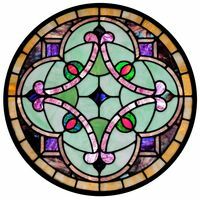 The triangular shaped stained glass window panel features several colors in an intricate design. 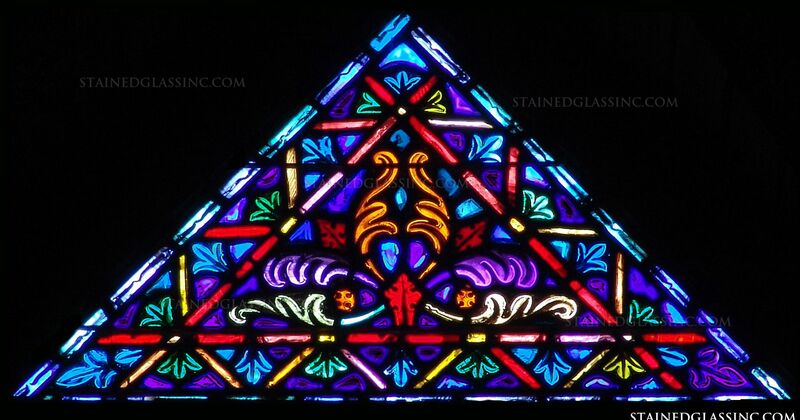 Bright purples and blues with red accents shine through in the sun. 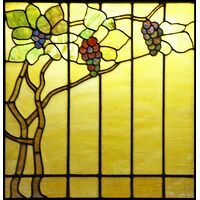 Display this stained glass artwork in your home, office or retail store and attract onlookers for years to come.